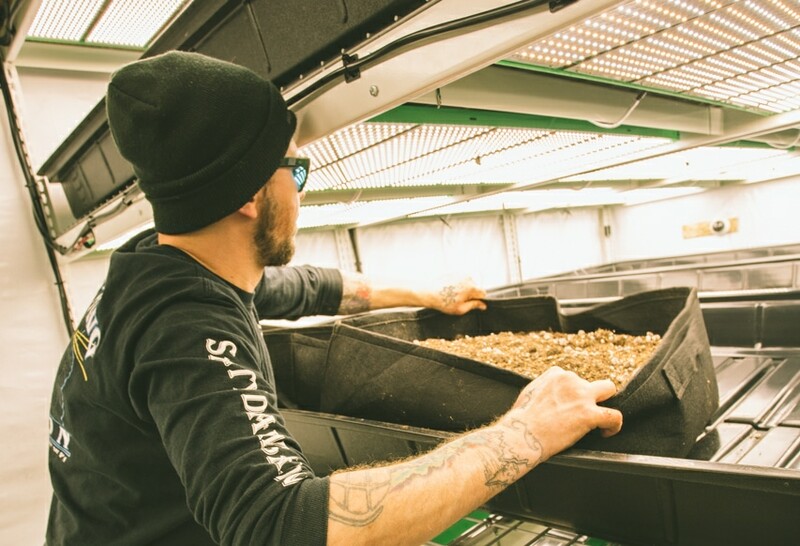 The LEDs, which produce minimal heat, allow Deschutes Growery to put lights very close to the plants throughout its vegetative, flower and clone rooms. Combined with an innovative mobile racking system, the LEDs enable a high level of bio-density, while achieving a lighting power density of less than 20 watts per square foot in some areas. A 56.4-kilowatt roof-mounted solar electric system, installed by the building owner, further reduces Deschutes Growery’s carbon footprint. The projects received $432,540 in Energy Trust cash incentives to help the cannabis facility achieve its goals of reducing energy waste and cost.